"What I see standing at the origin of the philosophers' task are anomalies and aporias present in undisclosed form within the web of concepts, beliefs and natural or cultural circumstance in which we are enmeshed. As for the problem of knowledge in particular, its difficulties arise from such undisclosed aporias in notions such as truth, objectivity and rationality and their connection in turn with the overall progress of science. But philosophy cannot be confined to linguistic or conceptual analysis of such a historically changing web. Beyond analysis - though analysis remains indispensable - there lies the project of rational synthetic reconstruction through proposing a theoretical viewpoint from which those notions which form the point of departure can be unraveled, and unified or modified as required. Thus I do not consider philosophical problems as due mainly to the abuse of language or the distorted use of common expressions. Rather philosophy deals chiefly with substantive conceptual (and cultural) tensions which demand theoretically relevant answers, not different in kind from the answers looked for in science." 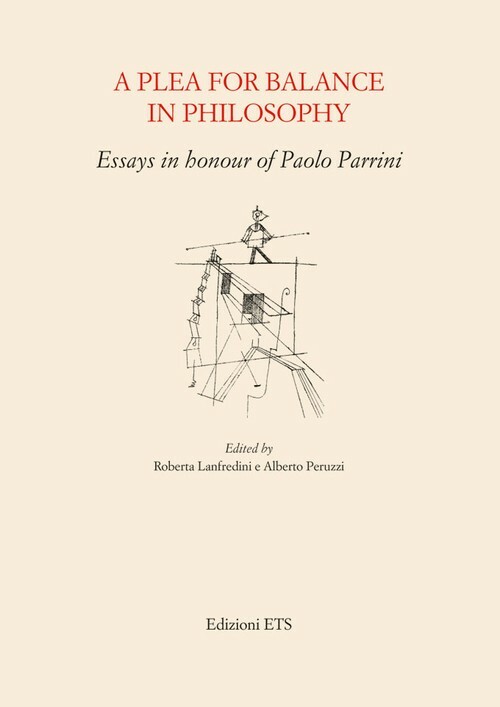 Essays by: Carla Bagnoli, Stefano Besoli, Silvana Borutti, Rosa M. Calcaterra, Claudio Calosi, Guido Caniglia, Vincenzo Costa, Massimo Dell’Utri, Rosaria Egidi, Elio Franzini, Carlo Gabbani, Pierdaniele Giaretta, Giambattista Gori, Luciano Handjaras, Roberta Lanfredini, Pier Luigi Lecis, Paolo Leonardi, Diego Marconi, Amedeo Marinotti, Michele Marsonet, Roberto Miraglia, Massimo Mugnai, Sandro Nannini, Alberto Peruzzi, Jean Petitot, Renato Pettoello, Tom Rockmore, Luca Scarantino, Paolo Spinicci, Paolo Valore, Francesco Venturi, Gereon Wolters, Silvano Zipoli Caiani.